Submitted by lynn on Monday, October 8, 2018 - 11:51am. 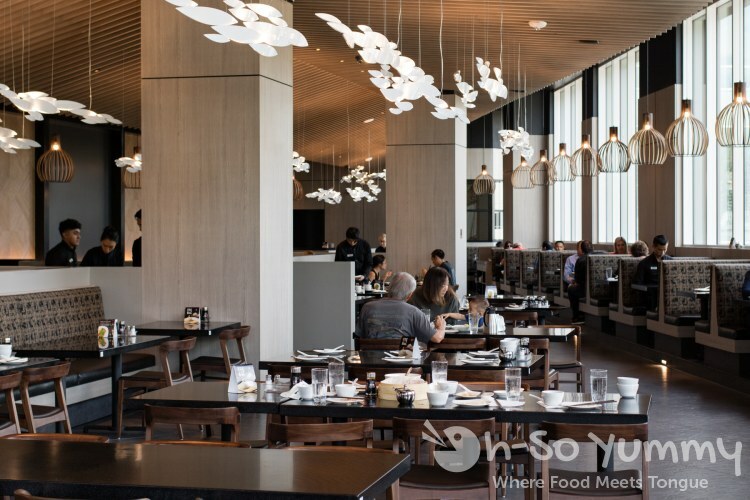 The popular Din Tai Fung (DTF) recently opened a location in the renovated Westfield UTC mall of San Diego. Foodies have long been raving about this place but the drive to O.C. and long lines kept me away. That is, until now. A friend invited me to join a mid-week lunch during the first week and I excitedly accepted. Currently, the restaurant is in soft opening mode and only takes online yelp reservations, with most of October already booked! It will return to a first-come first-serve basis after 2 months or so. The whole party must be present before you can be seated. There's a small patio with 4-5 tables and the rest are inside the main dining hall. Several booths specifically fit parties of two! I walked by a few larger tables as well as noticed a private room in the back. 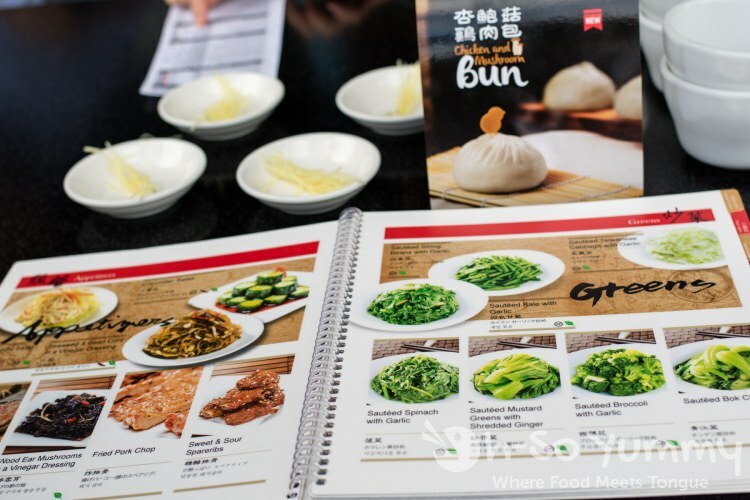 There's a colorful version of the menu with pictures as well as a black and white ordering sheet, similar to what I'd fill out at dim sum or sushi spots. I did not recognize half of the menu items and was surprised to learn that this was a Taiwanese style dumpling and noodle restaurant. I had previously thought this was a dim sum place like Pearl Chinese Cuisine. I'm such a noob but at least I learn something new every day. 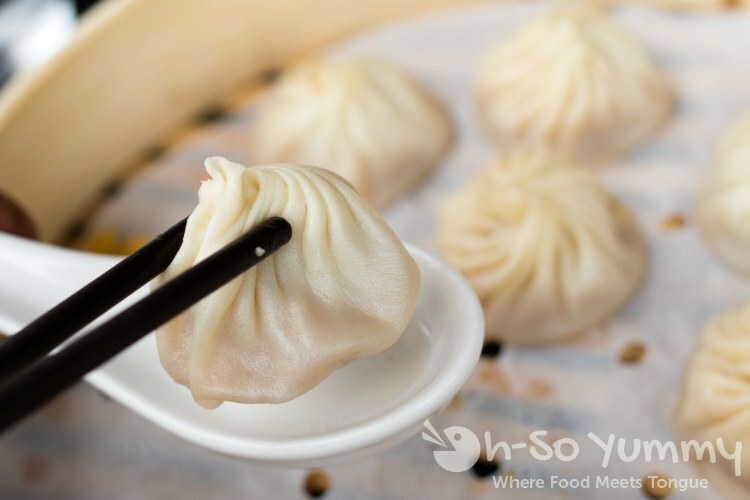 The famous dish of Din Tai Fung is their soup dumplings, also known as xiao long bao (XLB). So far, I've only had XLB at Dumpling Inn/Shanghai Saloon and Tasty Noodle House. 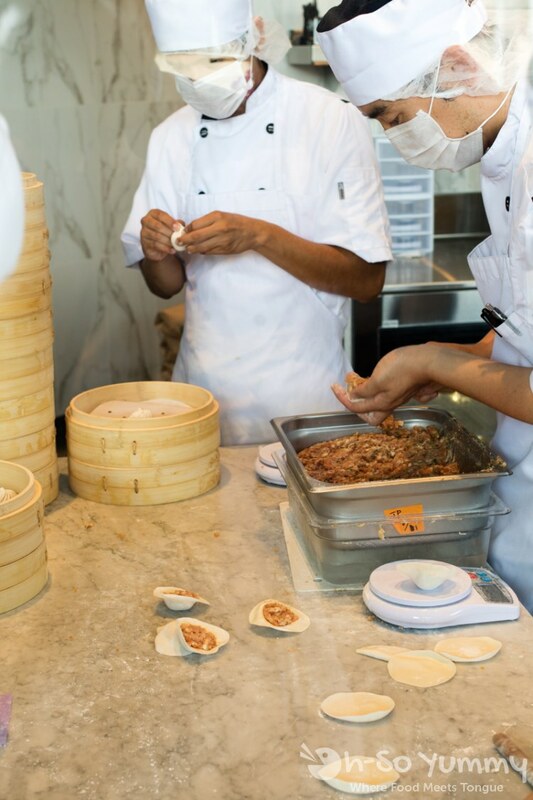 It's pretty cool that you can see them making these fresh dumplings or wontons through the kitchen window. I hear that there's a dim sum chef there making sure the quality of food is up to par with the other locations! Their original location is in Taipei, Taiwan with other locations worldwide. 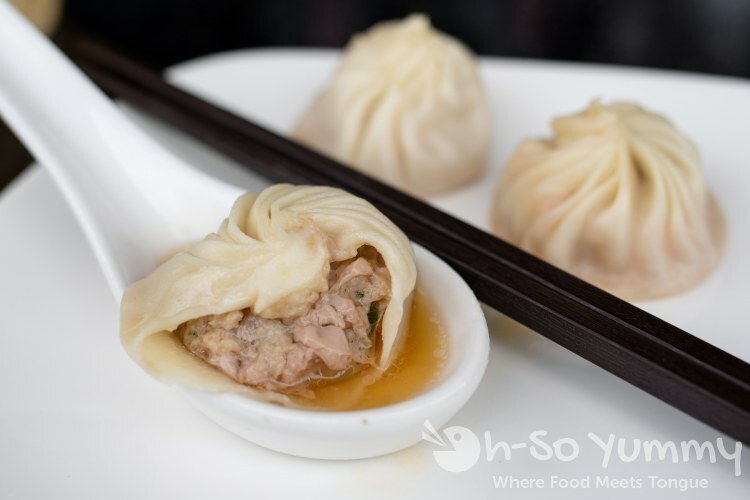 Shown is the crab filled XLB which is identified with the yellow crab in the corner. Each steamed order comes in sets of 10 except for the special truffle one, which comes in a set of 5. Our friends were telling me that the dumpling should be full and upright. If left for too long or leaking soup, it would flatten out at the bottom. These looked beautiful and ready to eat! 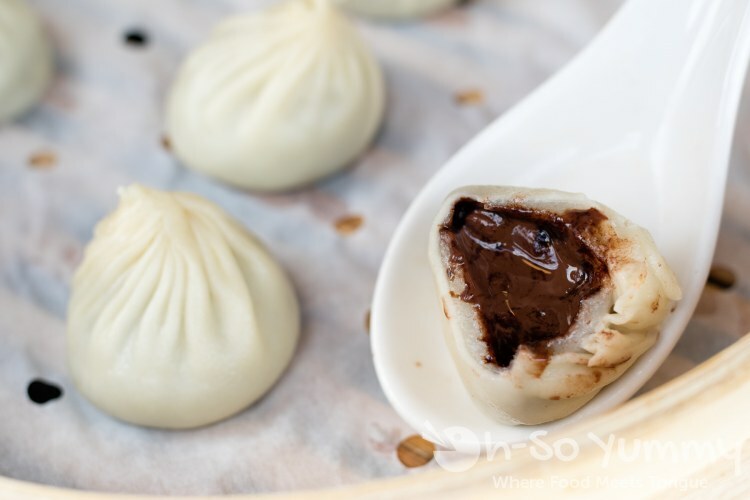 The first we tasted were the truffle ones, expensive at almost $5 per soup dumpling! When you open it up, you can see all the soup inside! 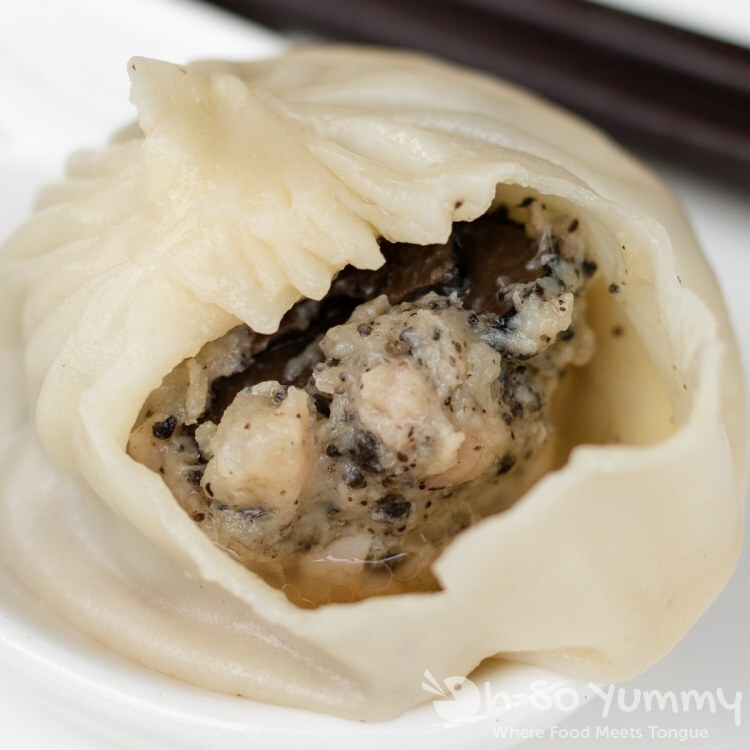 This was our favorite dumpling with a rich truffle flavor in the soup and overall savoriness in the speckled filling. 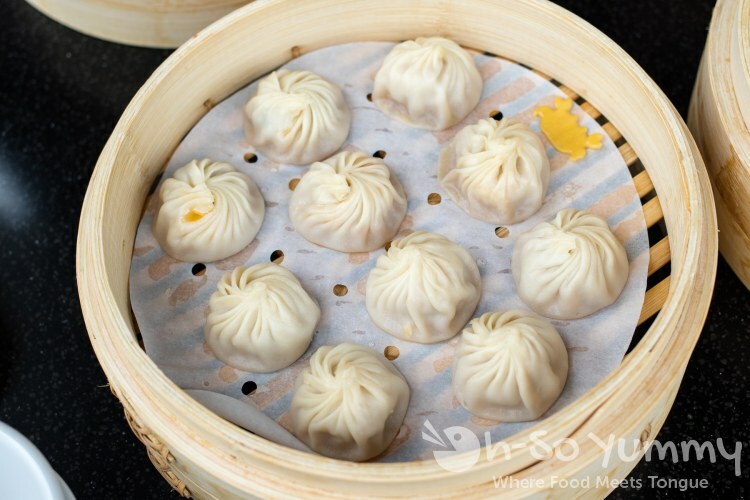 The skins were strong and supple, able to hold in that liquid, and none of our dumplings leaked into the steamer! We were able to bite through to reach the treasures inside. The temperatures were still warm and comforting in the mouth. 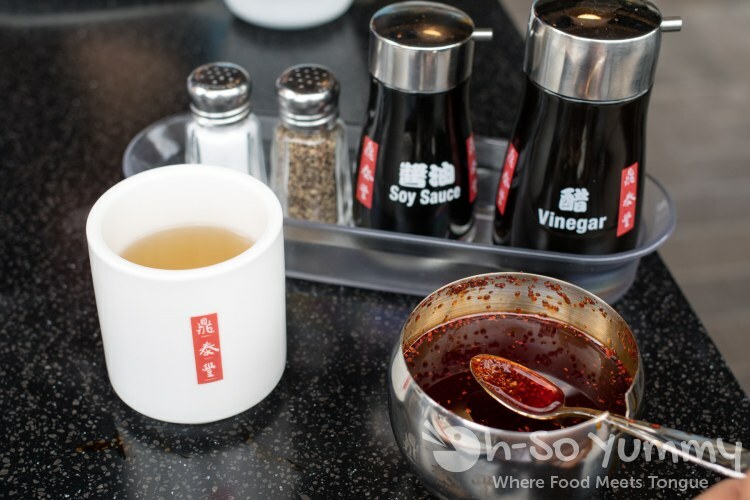 Here's the neatly corralled condiments to dress it up, including salt, pepper, soy sauce, vinegar, and chili oil. I ended up not using these but did notice how even the tea cups were logo'ed with Din Tai Fung. There were also small bowls of ginger to eat with the dumplings. Make sure to use the spoons! Bite near the top of the wrapping so that the soup doesn't spill out everywhere! I bit this one on the lower side and the juices flowed onto the spoon. The pork flavor was simple but tasty plus there was plenty of soup. I'm not sure what the ratio of pork to crab is but this set tasted strongly of crab, overpowering for my tastes, but maybe fit for a crab-lover? Soup levels seemed adequate as before. We wanted to try some of the other hand made items such as these wontons. The skins were thinner than the soup dumplings and there was a small amount of filling inside. I think the sauce took the lead in overall taste with its salty with a slight kick flavor. 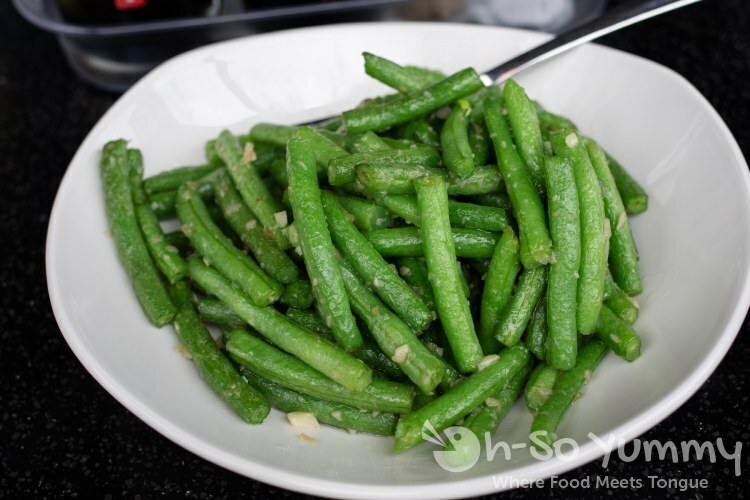 These are cooked soft crisp with plenty of garlic flavor. Great for sharing but for the price, I'd rather order more XLBs. My friends enjoyed this simple appetizer dish. It was chilled and subtly flavored. 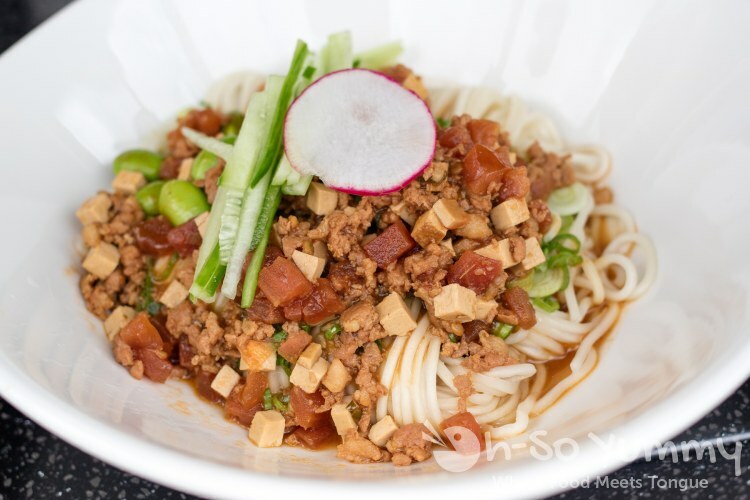 This dish had more oomph with the meat juices and sauteed vegetables so I preferred them to the plainer soy noodles. It was still very light in general so don't expect a flavor explosion. These came out with the banana wrapper removed. I'm not usually a fan of sticky wraps but was suprised to find myself enjoying the infused rice and slightly salted and tender pork shreds. I'm glad I found a version I like! To end the lunch, a dessert XLB sounded like a solid idea but our party wasn't too enthused... the last dumpling was still waiting for a taker. The chocolate was gooey and melted but it felt a little too sweet combined with the sugary mochi. I've read that others love this but it's just not for me. 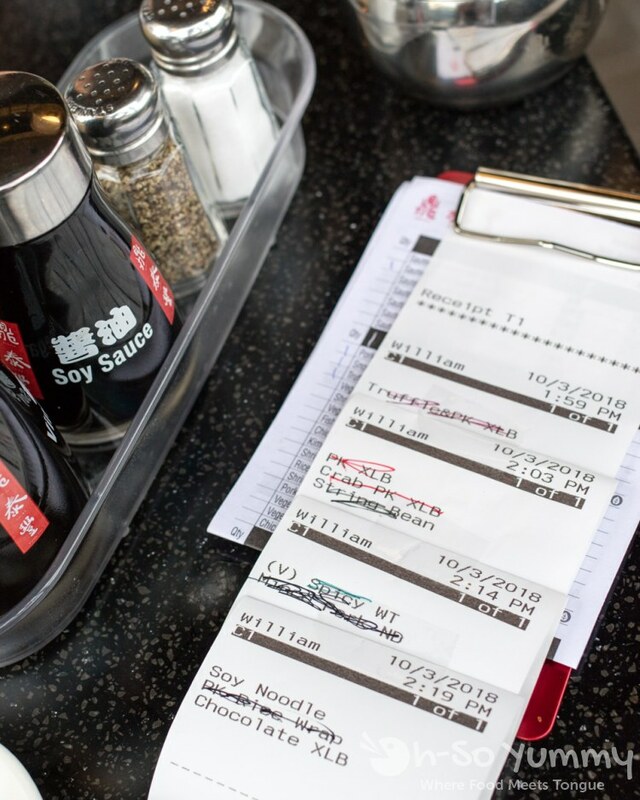 After ordering, you received a printed slip of paper and they would mark off the items after bringing it to your table. The lunch closes around 3 so they were already asking us about last call around 2:30. We ordered all items within a span of 20 minutes. Servers were pleasant and promp with food items. All in all, I'm happy to have finally tried Din Tai Fung. The XLB were soupier than versions I've had in San Diego, and the third day seemed improved (Kirk mentioned very little soup on opening day). The bill was approximately $30 per person for our group of four but we did fancy up with the truffles. I have so much more to explore in the Taiwanese food scene but it'll probably at least another month before I can find an open reservation with Dennis. I noticed there's a parking area down the stairs, though it might be valet or something. I still find UTC mall expansion a little confusing but least I've finally figured out how to get to the food spots around here! 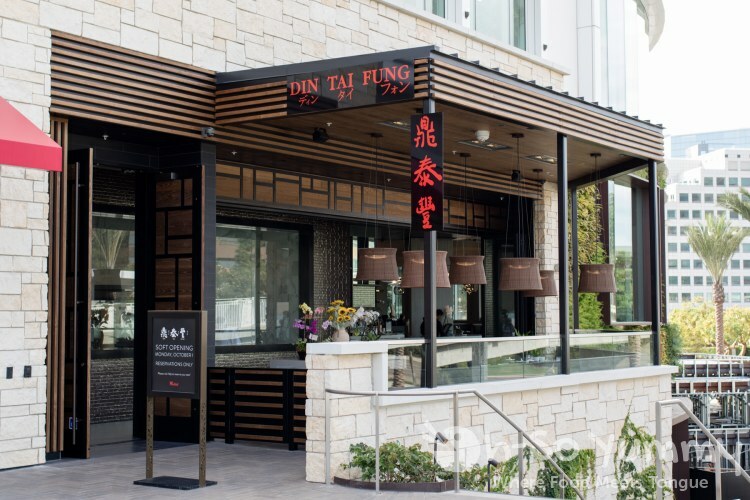 I've heard that some people don't consider Din Tai Fung as dim sum and that it's more like a dumpling house. Thanks for the review! Gonna check it out this week. That's a good point since they do have a lot of dumplings there! I remember hearing locals complaining that there were no good dim sum places in town and instead recommending DTF. I'm not too familiar with all the regional cuisines and differences in Chinese foods but would love to visit with knowledgeable people! i haven't been to larsons but location seems to be about right. 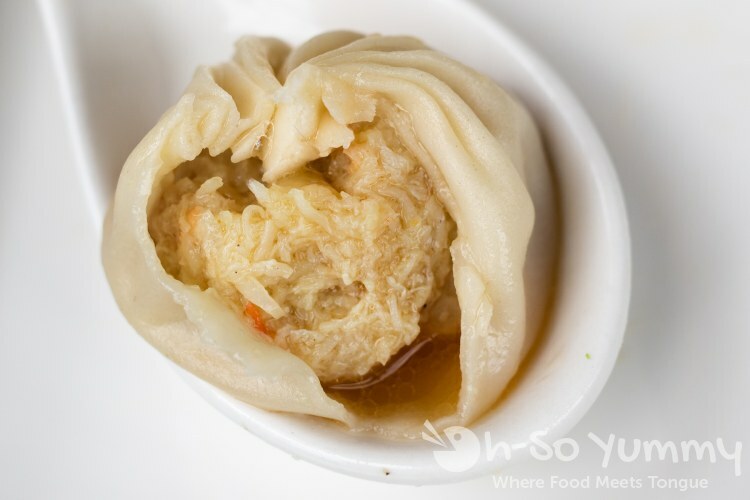 never hurts to ask your party if they want a $5 dumpling. for the blog of course. i actually thought pork would be more flavorful but i just had the yummy truffle right before it... i hope to revisit other noodle houses to see if DTF really blows the competition out of the water. it's been a while since i've had other XLB. Thanks for the mention Lynn. It's good that they seem to be getting things in order. it didn't seem rushed or anything during our visit but we did visit during a late lunch. hopefully the lunch/dinner rush is in working order! Interesting looking sticky rice. I'll have to try this place. i saw weekday lunch spots still open during the last two weeks of october. they haven't opened november reservations yet but i hope to snag a dinner so i can bring dennis. 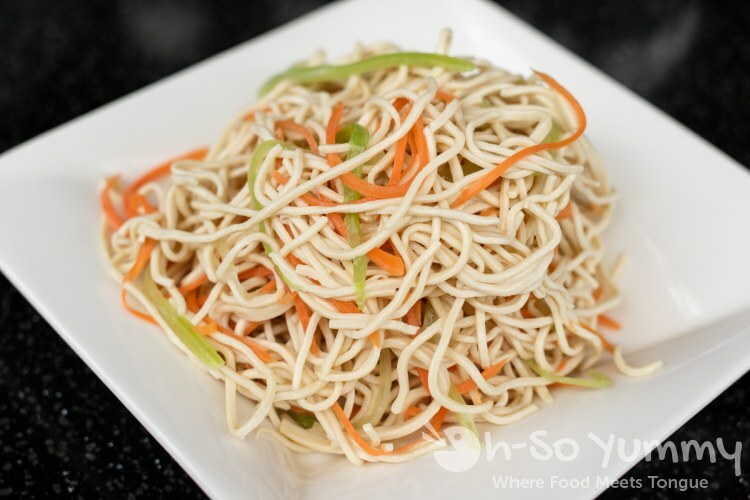 It's been fun reading everyone's posts on DTF....so informative and cool with all of the different dishes offered like those green beans and the noodle salad. 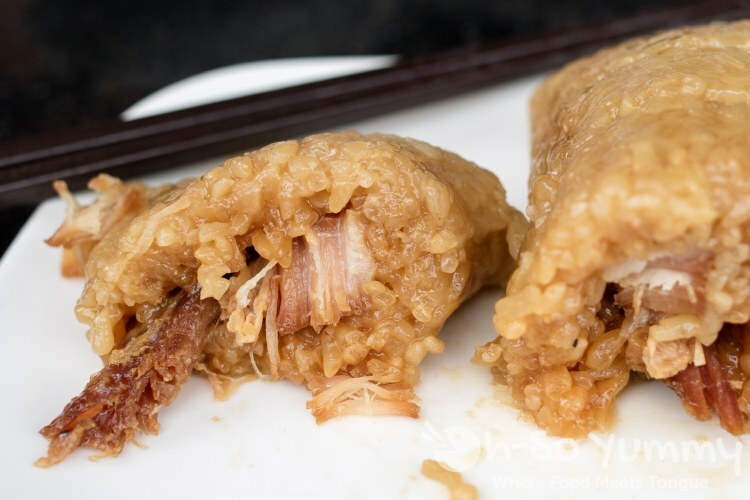 You also tried that sticky rice with pork belly that Faye tried. I am so interested in trying that! UTC has changed so much! I don't even recognize where anything is anymore. This place looks amazing! The porch is very chill. Well, I left a comment here last week, but for some reason it didn't go through. Anyhow, I have never had this kind of food before, but your blog makes me want to branch out. Unfortunately, where I live, that is not an option. We are in small town Ohio and the closest place with any foreign food is probably 2-3 hours away! Maybe someday! 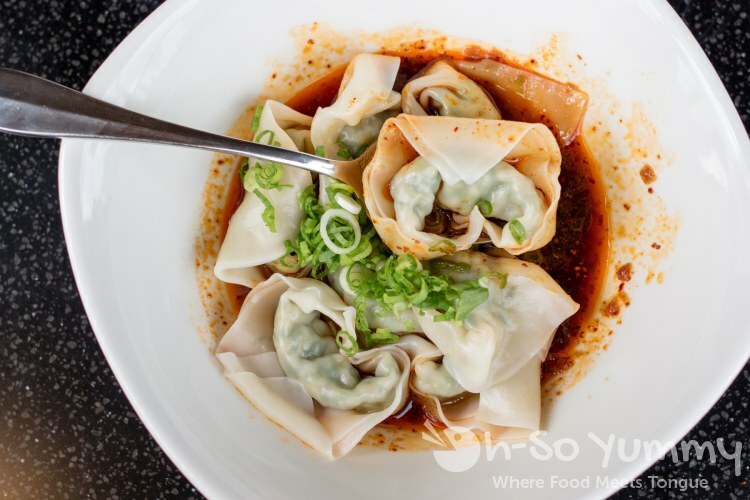 We like the Shrimp & Pork Wontons with Spicy Sauce! I wonder how it compares to the Vegetable and Pork. And of course we like the XLBs. Glad you liked DTF overall! Lines here are always long despite the multiple locations, which is why we rarely go. I still wonder if there's a better XLB out there... I'll have to try the dessert ones sometime, if just to try it, now that I know they're mochi! I think I prefer reservations, especially now that UTC has started charging for parking. I have a gift card to here so not sure when I'll have a chance to use it! Wow this looks like an awesome place! I just love all of you suggestions for the San Diego area!